Mailigen presented upgraded email marketing platform features, RSS, dynamic content, dynamic RSS and drag and drop editor at CeBIT 2012. Mailigen's email marketing platform provides unique new feature set. We got the chance to surprise them, as we presented our latest marketing solutions, which included united SMS and email platform. CeBIT 2012 held in Hanover, Germany, is the digital industry’s biggest and most international event. 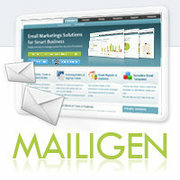 In the exhibition Mailigen presented the new and creative email marketing solution developed by the company. Mailigen is also planning to internationalize service by developing in more European languages. The RSS feature automatically sends newsletters when users update website and RSS feeds. Dynamic content allows the user to address each subscriber individually based on criteria. Use information based on specific user preferences like online behavior, purchase history and web analytics. Combine RSS with dynamic content to send automatically targeted messages to each subscriber. Use drag'n'drop to easily move, copy, delete content blocks in seconds. ”We were happy to see marketers from Europe are well versed in the basics of email marketing. It allowed us to talk about specific solutions for individual business. We got the chance to surprise them, as we presented our latest marketing solutions, which included united SMS and email platform. Due to the interaction at the event, we obtained significant subscribers from Germany, UK and Benelux, as well as the USA, India and Brazil. The exhibition provided us with a great opportunity to meet our foreign clients, share the experience, hear out their wishes and needs, and of course to see the latest trends in the industry,” says CEO of Mailigen, Janis Rose. Mailigen will eventually develop the platform in additional European languages. At this time, Mailigen is already available in English, Russian, Chinese and Latvian. ”Originally, the main goal was to conquer Asia and U.S. markets, but Europe`s technical innovations are developing so fast, we want to strengthen our positions there as well. The European market is very fragmented and each country demands individual approach. Therefore we are planning to localize Mailigen into German, French and Spanish languages and also open offices in other European countries,” says Rose. Mailigen, originally based in Europe, is one of the world's leading web-based email marketing platforms for any size business, organization and individual users. The international company has strengthened its positions in the U.S. and Asian market and is now rapidly conquering its place in CIS and European markets. For more information, please visit http://www.mailigen.com. CeBIT is one of the world's largest, most important and most visited digital industry events that each year brings together several thousands of companies from all around the world to present the latest achievements and future trends of digital industry to numerous thousands of visitors. This year, it was expected that by the last day of show, the total number of visitors would be well over 300 000 people from more than 110 countries. The exhibition was held in Hanover, Germany from the 6th to 10th March. The next CeBIT will be staged from 5 to 9 March 2013 in Hanover.